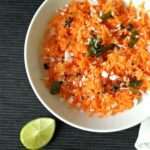 Kosambari or kosumbri is a simple and refreshing salad that is usually made with split skinless green gram, grated carrots, a few chopped onions and a dash of lime juice. 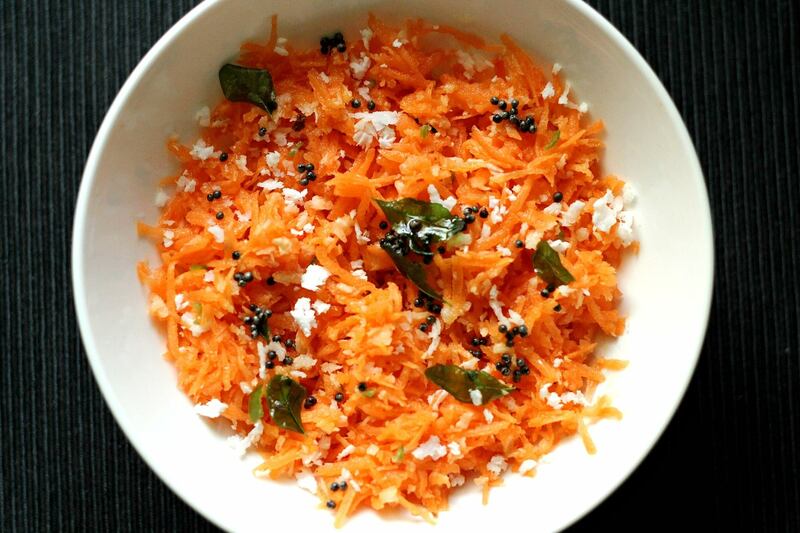 A garnish of fresh coconut and a tempering of mustard seeds & curry leaves give it that finishing touch and spruce up what could otherwise be just another salad. I made this salad sometime last month when the weather outside was dull and bleary and served it with some rice, vegetable curry and fried sardines. It was one tasty meal I tell you! The carrots were crisp & juicy, the lemon and spice balanced the sweetness of the carrots and the tempering gave it a flavour and aroma that made our mouths water. This recipe is especially for my true blue reader turned friend Janet Aranha who had requested this recipe long long ago. I put it on my list of recipes to try and so here it is. Thank you, Janet for always being there to encourage me, for sharing your recipe ideas and also for offering help with the blog everytime I am overwhelmed with what life throws at me. Love, hugs & God bless! 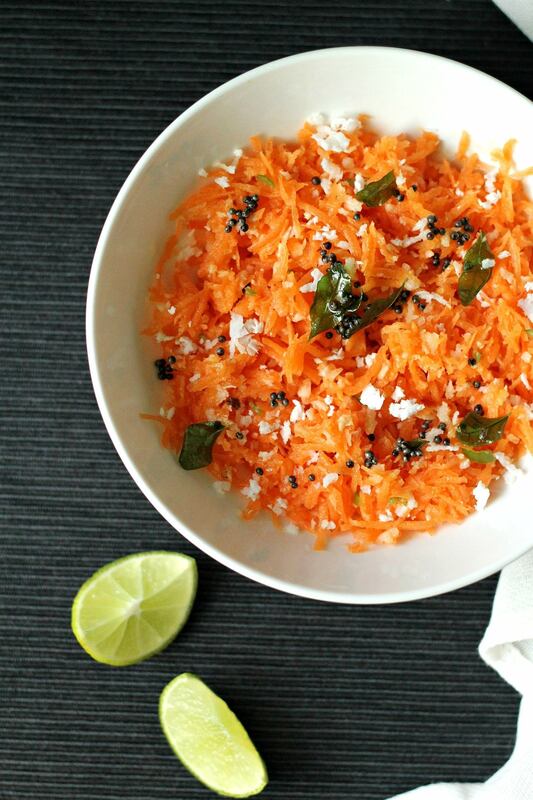 Wash the carrot, peel and grate it into a bowl. 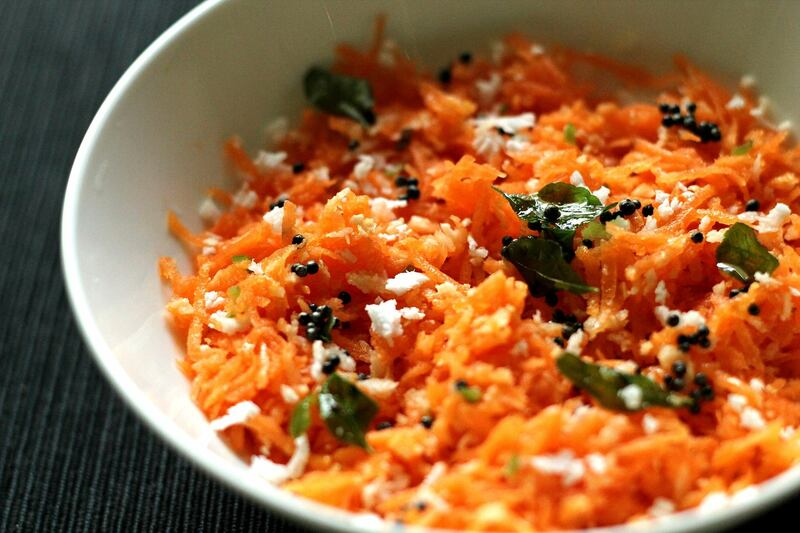 Add the grated coconut, minced green chilli, lime and salt to taste and give it a quick, gentle mix. There is no green gram in Ingredients. When should green gran be used?